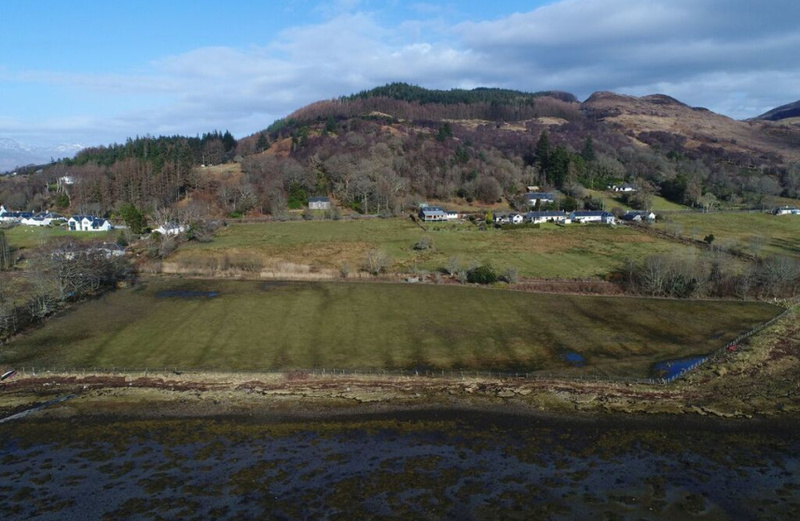 Situated in a quiet setting on the coast of Appin, a picturesque village on a secluded peninsula midway between Oban and Ballachulish. 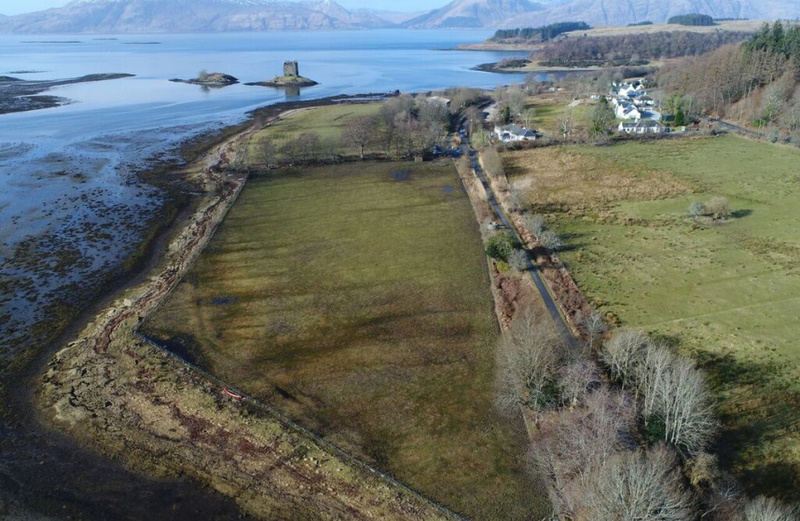 Bounded to the west by Loch Linnhe, with Loch Creran situated further south and enjoying stunning seascapes with rugged and mountainous inland scenery. This beautiful spot overlooks a host of tiny Islands dotted around Loch Linnhe and has Lismore and the Isle of Mull in the background. One of Scotland's iconic ruined castles, Castle Stalker, occupies one of the tiny rock island and provide stunning views from the plot. 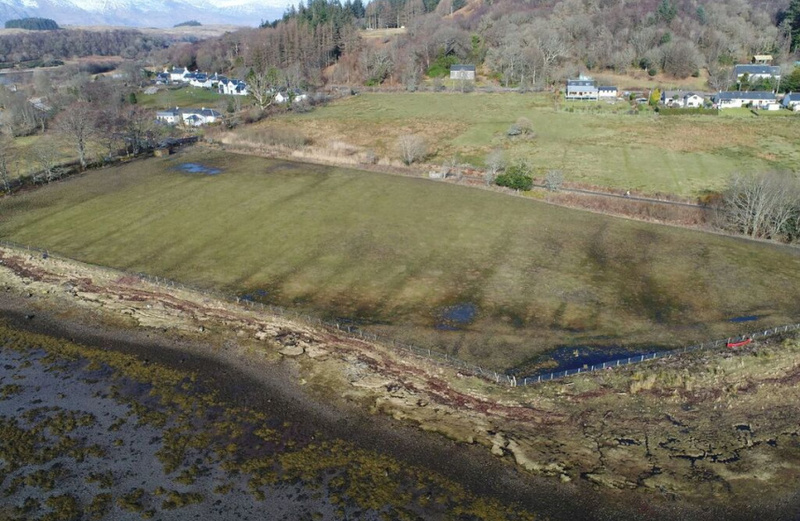 Plot 1 extends to approximately 0.096 ha (0.237 acre) and has the benefit of planning permission in principal under Argyll & Bute Council planning references 17/00079/PPP. Potential purchasers are referred to the planning application and decision notice (review report) with particular attention to condition 5, the upgrade to the road. The decision notice significantly modifies that condition and its financial burden. Interested parties are encouraged to fully read the planning and decision notice concurrently. 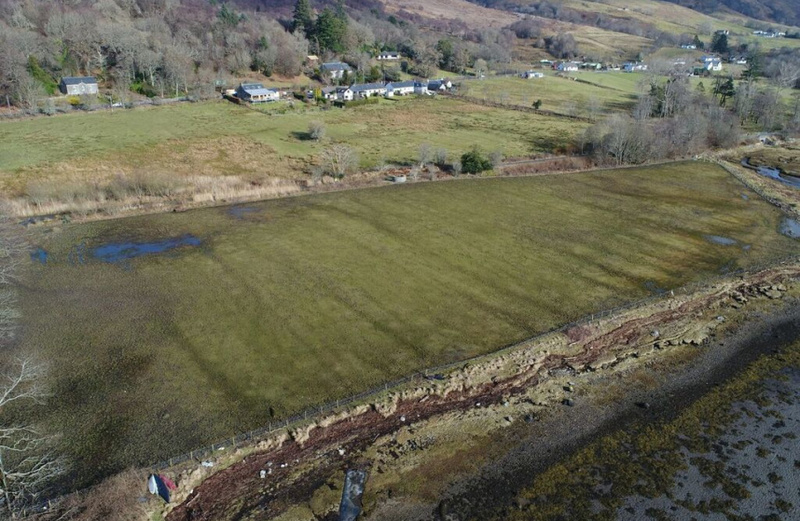 Full details are available from the Council Planning Website: www.argyll-bute-gov.uk. with all documentation being attached under full details/particulars within our website www.solicitors-scotland.com. 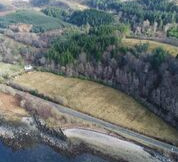 The successful purchaser will be required to satisfy themselves on the availability of services, however mains water supply is on site and an electricity supply runs through Plot 1. It will be the responsibility of any purchaser to be satisfied that an electricity connection can be made to the plot. It should be noted that there is a main water supply nearby, not a private supply as indicated in the planning application. 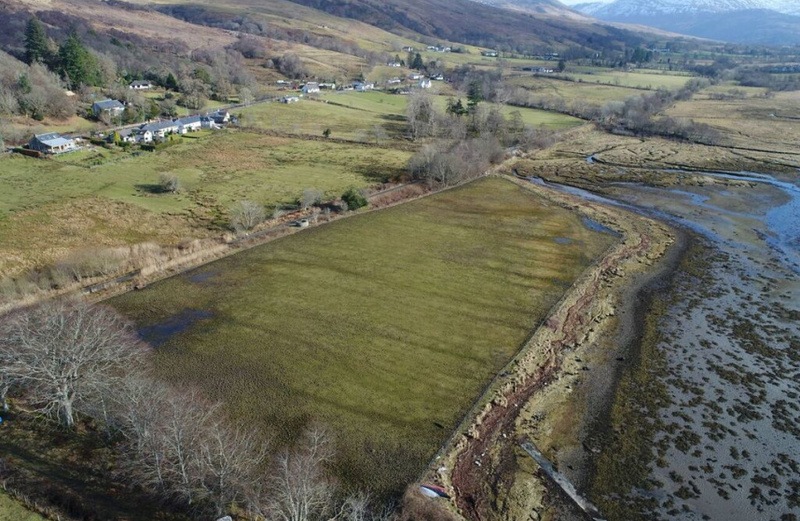 Confirmation from Argyll and Bute planning have confirmed this to be an error. In addition to the plot there is croftland included with the sale. 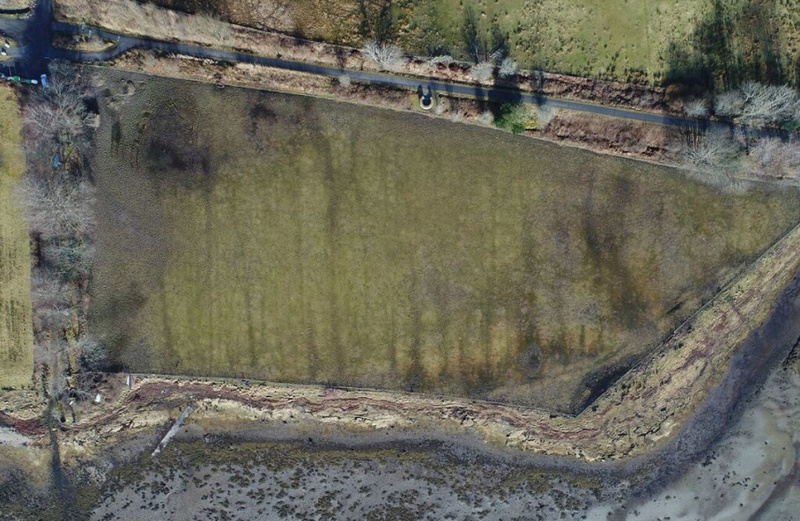 The extent of the croftland and plot are identified in the photographs below and provides an opportunity to acquire the Landlord and Tenant's interest in the Croft. From Fort William head South on the A82. 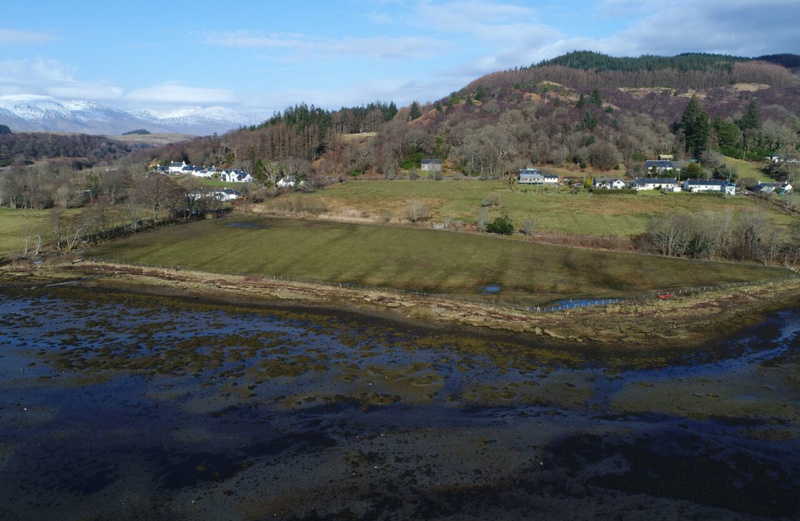 Drive through the village of Onich and continue over the Ballachulish Bridge. At the roundabout take the A828 Oban Road. 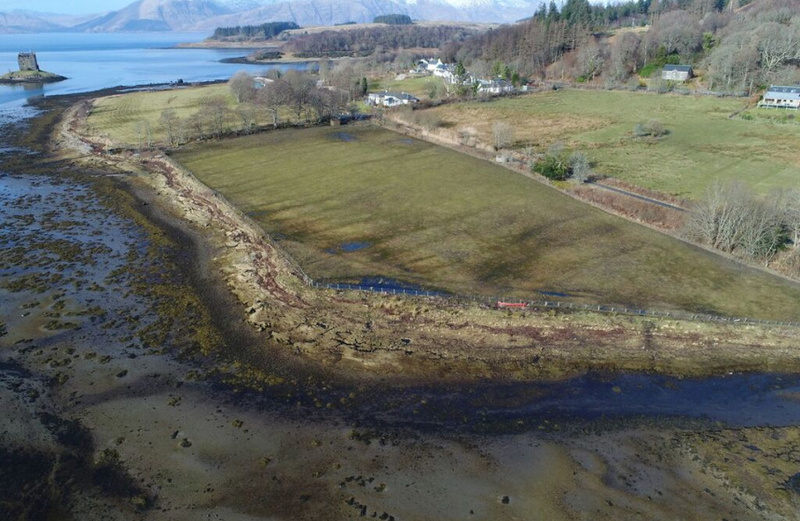 Continue along the A828 passing Linnhe Marina and "The Old Inn" on your right. Just past "The Old Inn" is a red pillar box on the corner of a tarmaced track road. Take the track road right to the end. Access to the plot/croft is situated to the right of the cycle track path.